What can I say, I love salsa and one day while making some, the idea came to me of using this little Mexican figurine with the habanero chilis and green onions. I’ll put him to work, instead of just collecting dust! 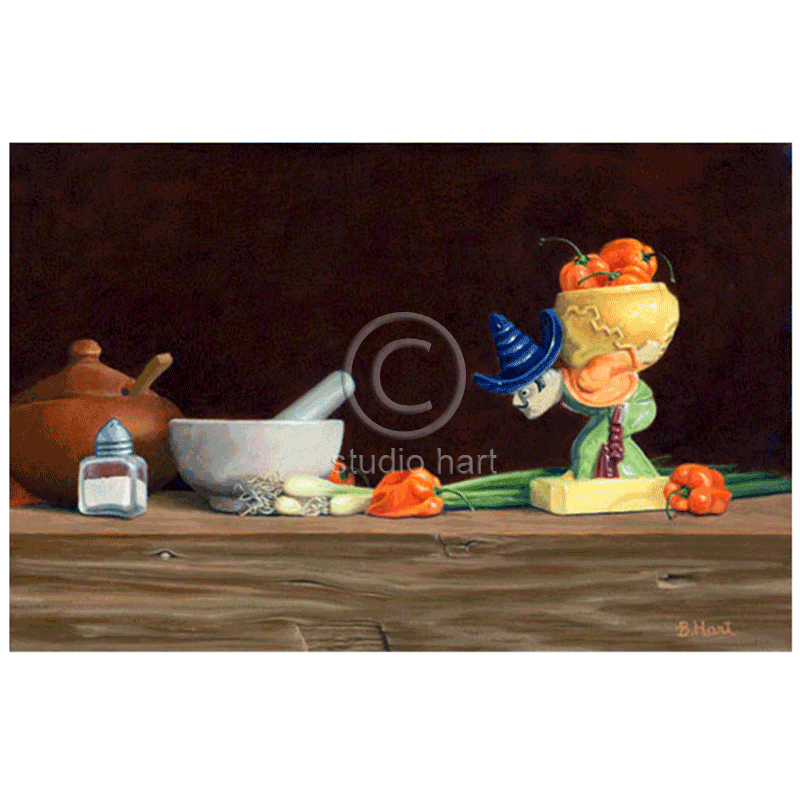 Great print for the kitchen or your favorite chef. Size: Image 10×15″. Paper size 13×18″.